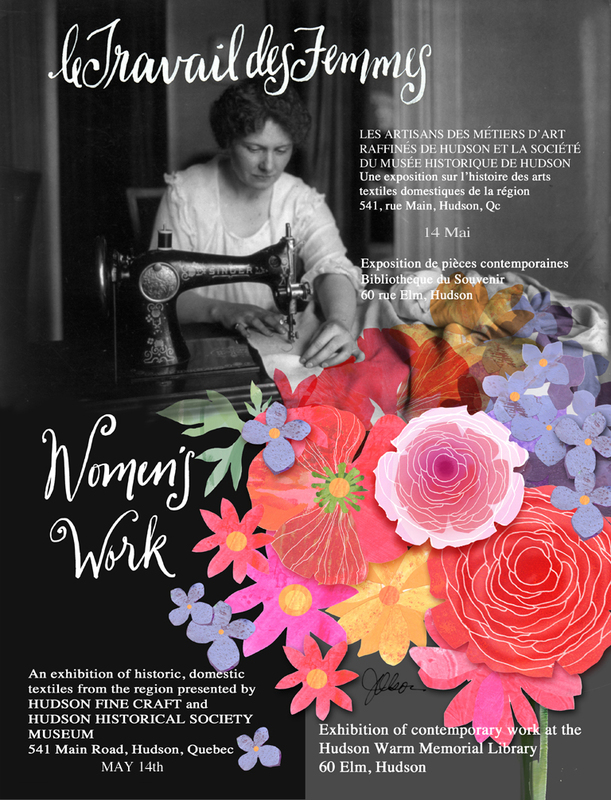 Womens Work is an exhibition that addresses how women have used needlework and textile-related crafts (sewing, embroidery, crochet, weaving) to clothe their families, furnish their houses, build community and create income over the last 150 years. Most of the articles on display have been lent by Hudson residents, and many have stories to tell. In addition to the finely crafted objects, the tools designed to perform these intricate and specialized tasks are also on display. This exhibition highlights a different perspective of our communal history, and is the result of collaboration between the Hudson Historical Society and the Hudson Fine Crafts Group. It will continue through the summer months, and will hopefully be the first of other collaborative projects.